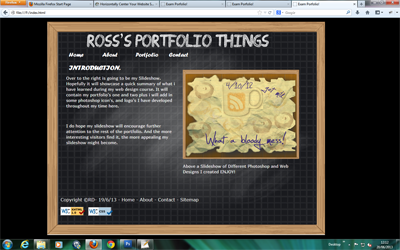 GHIS Web Design Student Portfolio - Mr. RD. Miles behind the world at this stage nearly there. 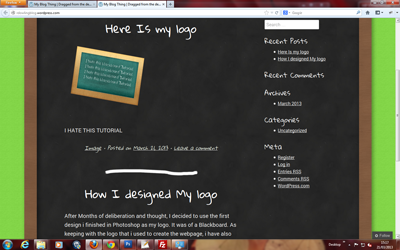 There is a suggestion that this looks like a web site, only a suggestion. To me it is a work of art. 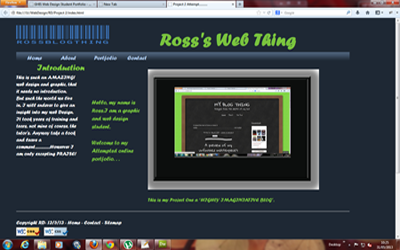 My web page contains a lot of photoshop stuff i have accidentally learned. 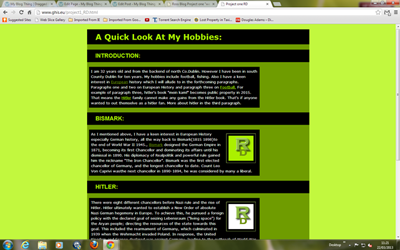 As you can tell from my web page i have not got much of an attention span. 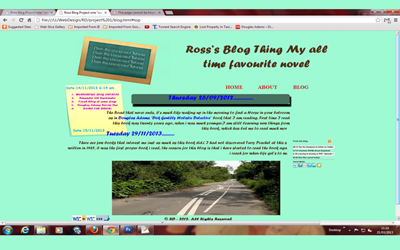 This is my wordpress attempt.